Gorilla Handprinted Dad and child sweatshirt set. 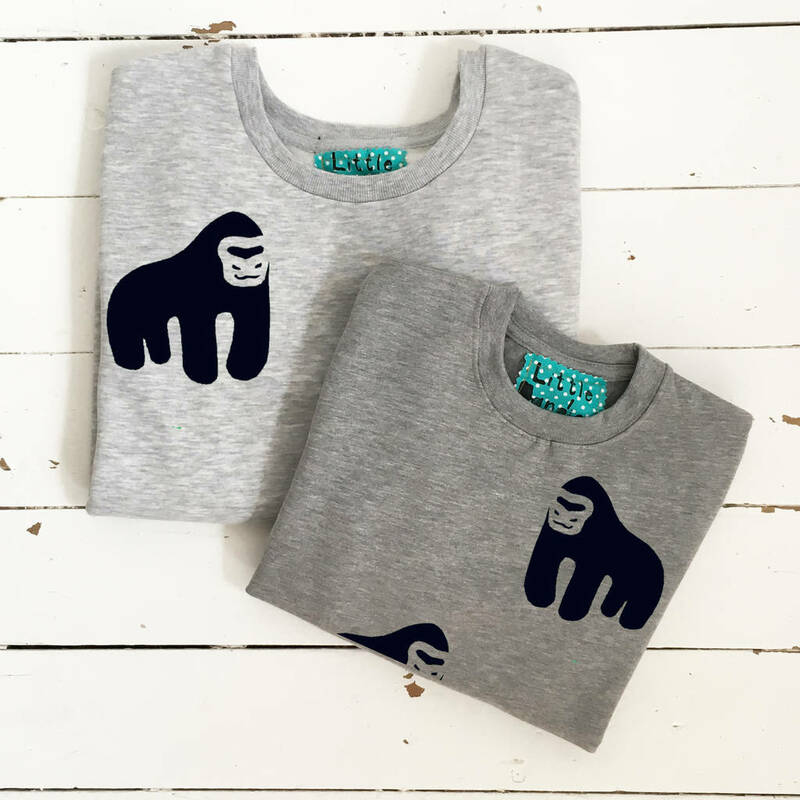 A funky grey marl dad sweatshirt and children's sweatshirt or baby grow. Baby Vests are available in 0-3, 3-6 & 6-12 month Children Sweatshirts are currently available in 1-2, 2-3 & 3-4 & 5 years. Mens Small, Medium Large and X Large. 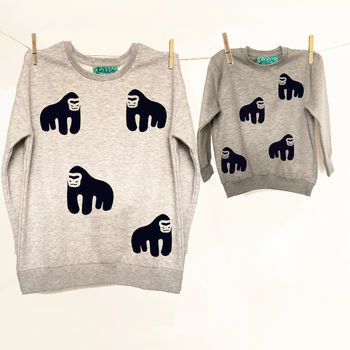 This is designed as a medium fit sweatshirt. 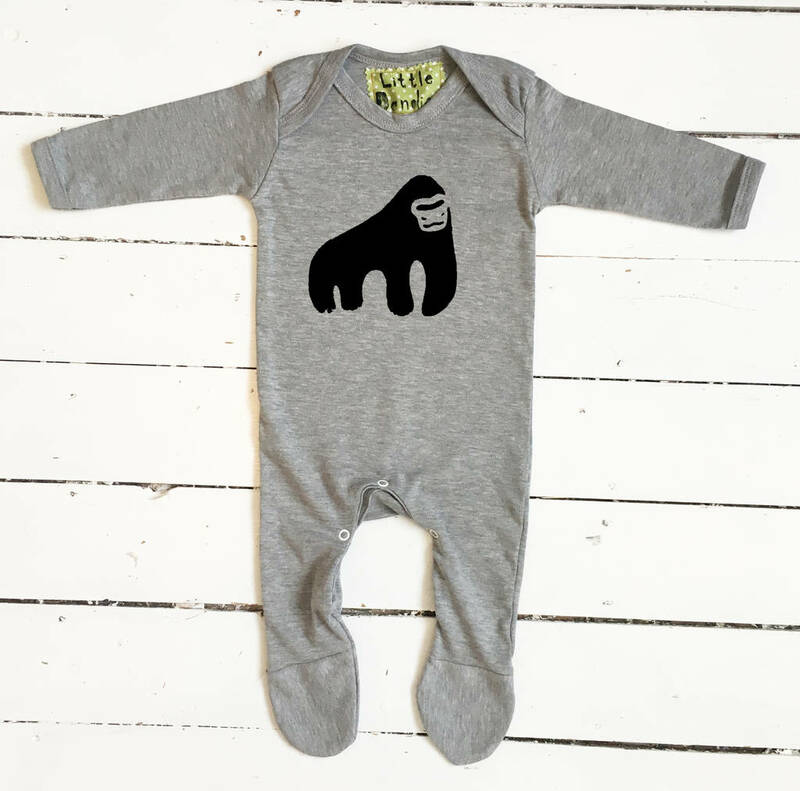 If you are a mum and like this design just go down a size!